If you're a mom who has chosen to stay at home with the kids during the early years, it can be quite tempting to consider retraining so you can have a new and better career once you do return to work. 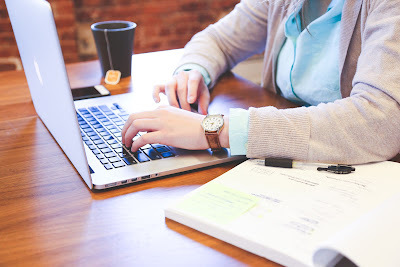 The availability of online degrees that can allow you to study from home, full or part time, has made it very easy for moms who want to find a new career path to get qualified while they're at home with the family, but what career should you choose? With anything from accounting or an MBA, nursing or hospitality management available from online colleges like the University of Cincinnati, you really do have a wealth of options. In most jobs, it can be hard to find a good time to do things like take vacations as a family, as getting time off work during school vacations can be something of a battle – everyone wants it! However, as a teacher, your schedule both on a day to day basis and when it comes to vacations will be fairly similar to your school age kids, making arranging family time much easier. Not all learning happens in the school environment, and as a parent you are sure to want to be able to teach your children interesting things and get them excited about learning. As you study for a masters in education, you'll gain some great insight into how kids learn, and be able to use this at home as well as in the classroom. Depending on what age group you want to teach, there is demand for all kinds of specialisms. This means that whatever your existing background and first degree are in, you can use that knowledge combined with what you learn in doing your masters in education online to become a specialist teacher in your original field, for instance science, IT, language or even things like art and music. This means that while you are retraining, you are not losing the benefits of your past studies or experience. As moms, we tend to empathize a lot with children and want to help and nurture them – even the ones who aren't our own! As a good teacher, you can inspire and motivate children, help those with difficulties at school, and become an important role model for them. Not all kids have good people to look up to and teach them, and so this is something you can take on as a teacher. If you are looking for a career change that is rewarding, interesting and also has some practical benefits now that you have started a family, then teaching can be the perfect choice, and getting qualified has never been easier!